Take elite commandos, send them on a do-or-die assignment – and sit back and watch the action explode. The men-on-a-mission formula that worked in 1967’s The Dirty Dozen and in Where Eagles Dare (released in the U.S. in 1969) provides another salvo of volatile screen adventure with this strike force saga released in 1968. 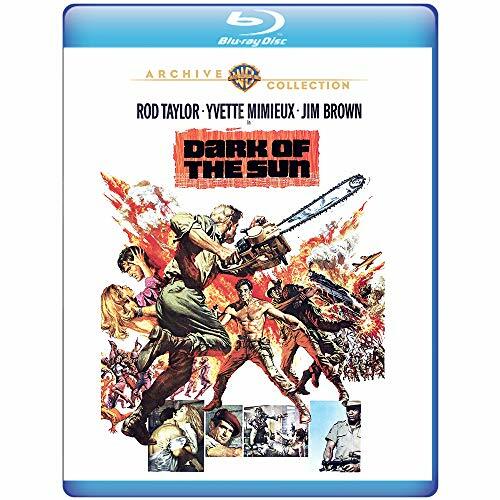 Rod Taylor and Jim Brown are among a mercenary unit rolling on a steam train across the Congo, headed for the dual tasks of rescuing civilians imperiled by rebels and recovering a cache of diamonds. The film’s violence is fierce, unforgiving, ahead of its time. Quentin Tarantino would offer a tribute of sorts to this red-blooded wallop of a cult fave by using part of its compelling score in Inglourious Basterds (2009).